(a) author- and referee-friendly electronic submission, manuscript tracking. (b) (for accepted papers) choice of depth/level for the reader: brief synopsis, extended synopsis, media briefing (if appropriate), full version (to be produced also in print), extended version (e.g., additional appendices, datasets, extensive proofs, etc.). (c) multiple layers of interactivity: readers can contact authors by email, post comments on a dedicated discussion forum, or submit formal Comments (mediated by editors). (d) citation and download tracking: regular updating of citations of ELSSS articles in citation databases and counting of access and downloads. (e) free distribution to all Universities and Research Centres in developing and transition economies. (f) long-term archiving: The logic of moving away from paper-based journals involves establishing the institutional and technical structure for very long-term archiving, to ensure that the data will continue to be hosted on the international networks, and that it is stored in a form that will be compatible with the retrieval mechanisms of the future. (g) standards: world-wide long-term availability will depend upon strict adherence to archiving standards. 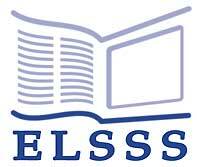 ELSSS journals will be fully compliant with the Open Archive Initiative standards. ELSSS has recently added a Senior Computing Officer to its technical staff (click here for a brief c.v.). The key idea behind the EPT is to foster a close relationship between the users and producers of ELSSS journals (authors, referees, editors, readers) on one side and the technical staff of the other, so that ELSSS journals can meet the needs and the requirements of the economics profession.